Sensitive condenser vocal microphone features a smooth, tailored response for a warm, accurate sound. 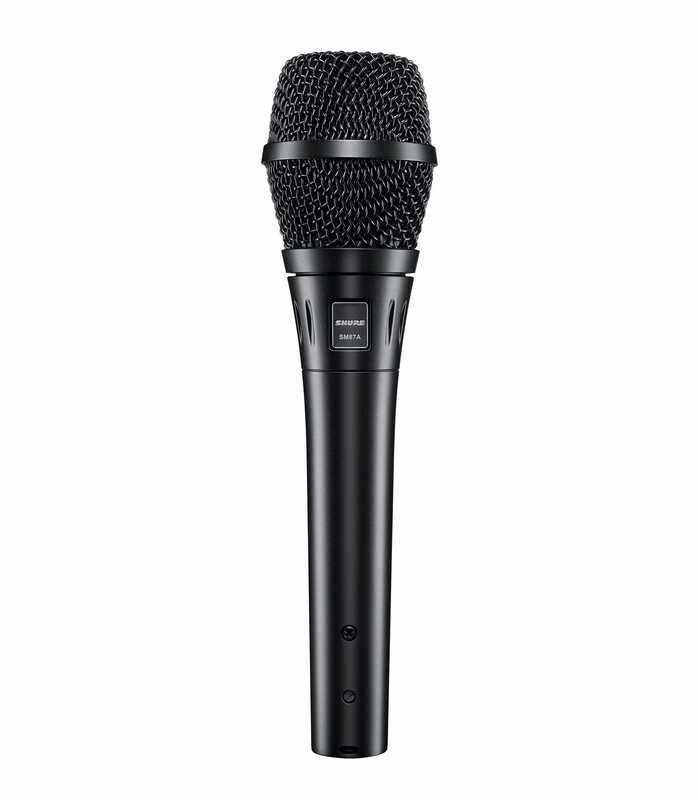 The Shure SM87A-X microphone is a professional-quality, handheld condenser microphone for use in sound reinforcement, broadcasting, and studio recording installations. Its supercardioid polar pattern provides greater rejection of unwanted sound sources, making it ideal for miking individual instruments in a multi-microphone setting or for miking single sources in a reverberant or noisy environment. An integral three-stage wind and pop filter protects against wind and breath noise. Its built-in shock mount reduces stand and handling noise. Sm87ax Supercardiod Condenser Rugged Vocal Mic from Shure is 100% original and brand new. We, at Melody House take pride in our after sales service and support. For further details on the sm87ax supercardiod condenser rugged vocal mic, Shure, simply write to us to consult an expert or order online and we will take care of the rest. Happy Shopping!